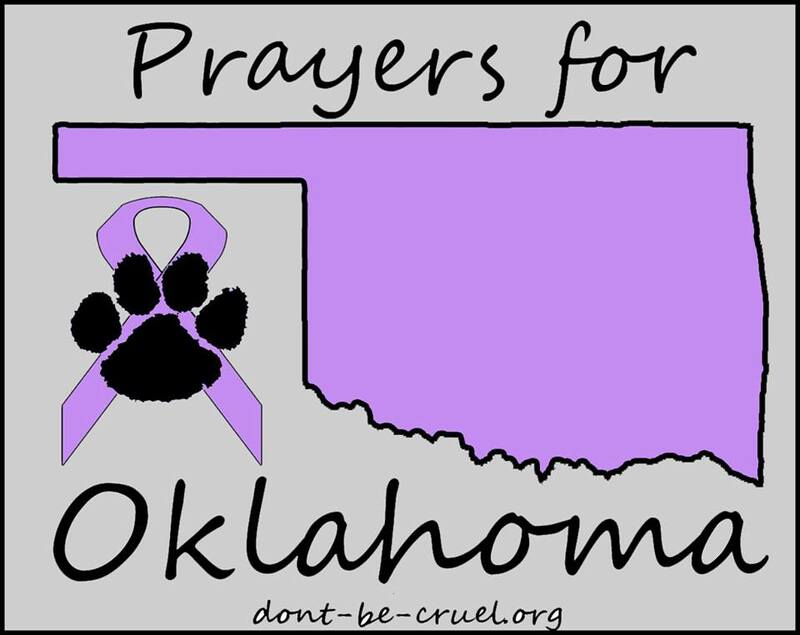 Here at Don’t Be Cruel, our thoughts and prayers go out to the families and their pets affected by the tornadoes that touched down in Oklahoma. A massive, mile-wide tornado with winds up to 200 mph killed at least 51 people Monday afternoon during 40 terrifying minutes of destruction across southern Oklahoma City and its suburbs. Two elementary schools were destroyed, including one that took a direct hit killing several children. Less than 24 hours after a devastating tornado ripped through Moore, Okla., more Midwestern states are bracing for the wrath of potential natural disasters. The National Weather Service (NOAA) announced Tuesday morning that dangerous weather conditions are expected to hit regions ranging from the Great Lakes to central Texas late Tuesday. However, all is not tragic as small miracles exist. 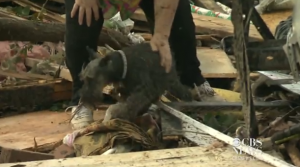 Here is a video of the CBS news crew conducting an interview when they find a dog under the Oklahoma rubble. This entry was posted in Animals Around the World and tagged dog found in Oklahoma rubble, Oklahoma tornado, Prayers for Oklahoma on May 21, 2013 by Belkis Cardona-Rivera.